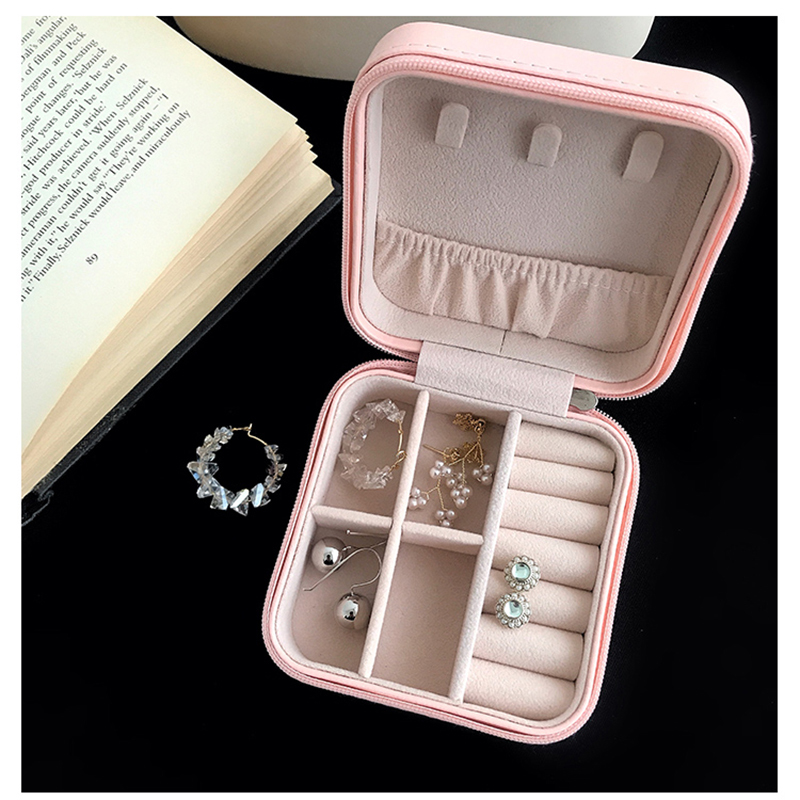 When you are about to head somewhere, there's nothing more frustrating than trying to untangle a string of necklaces knotted with earrings and rings, so keep that gnarly jewelry at bay with this small Jewelry Organizer case from G-Tree. 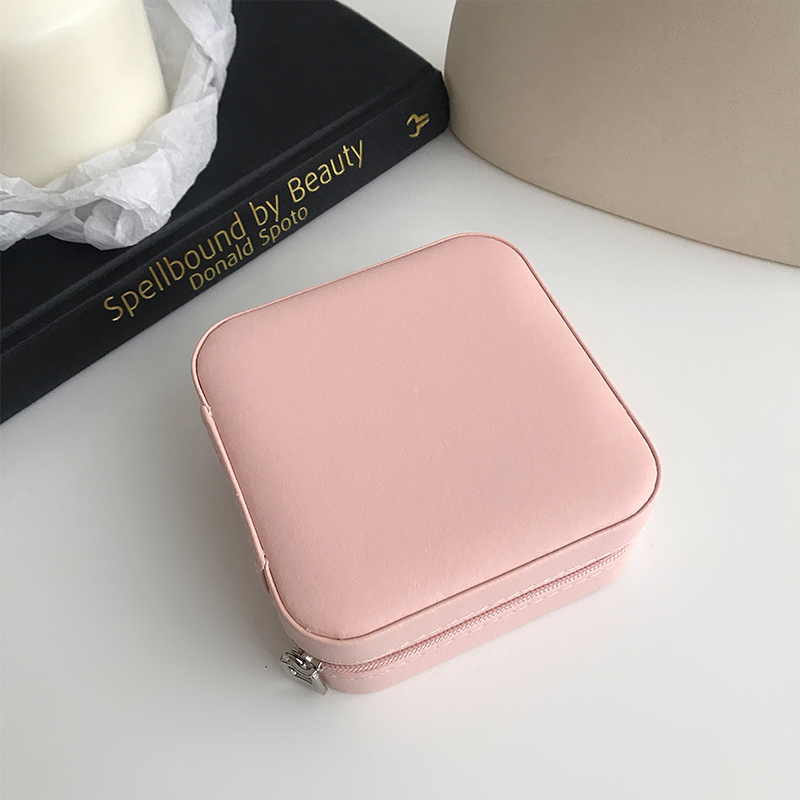 Both stylish and super functional, this case has thought of everything a jewelry lover would want with this compact lightweight case. 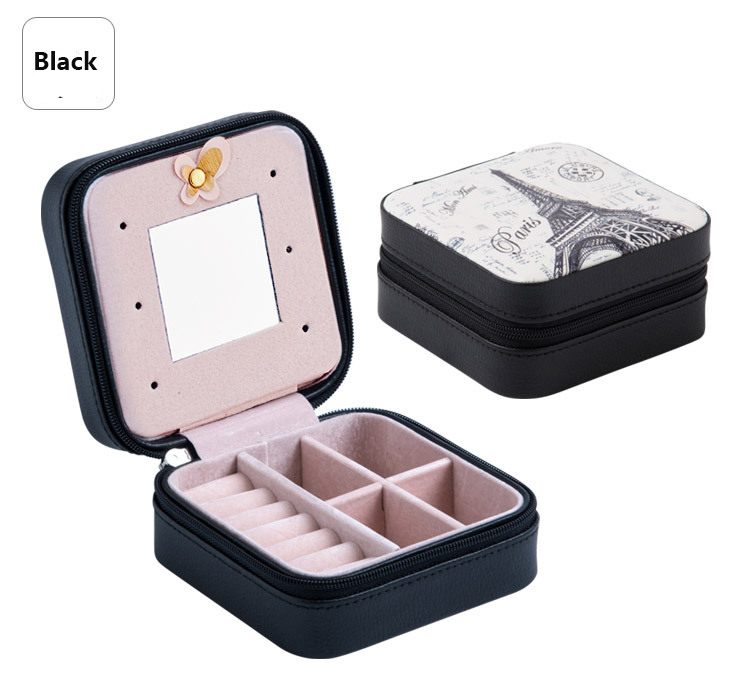 With elegant look and functional interior design, it matches the sentiment of the goodies inside and keeps them all safe in style. 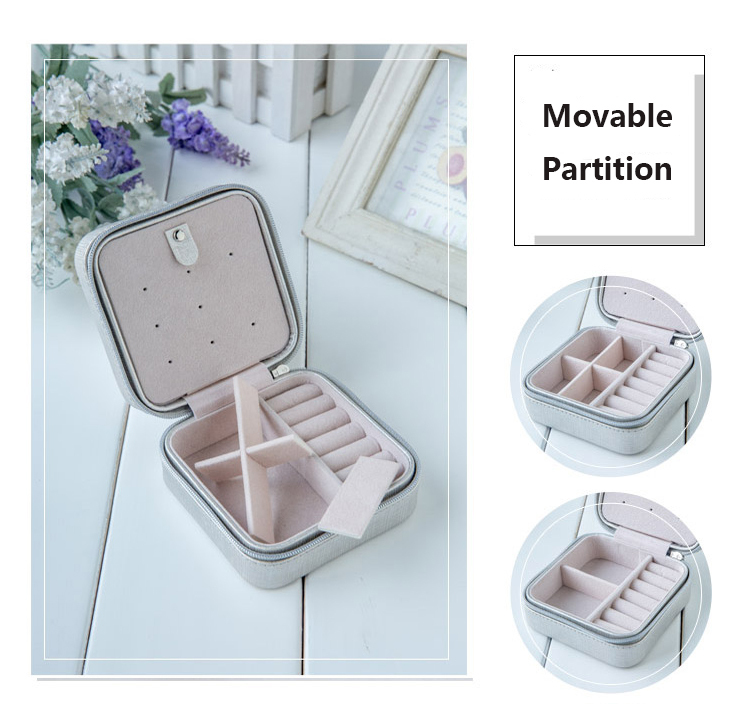 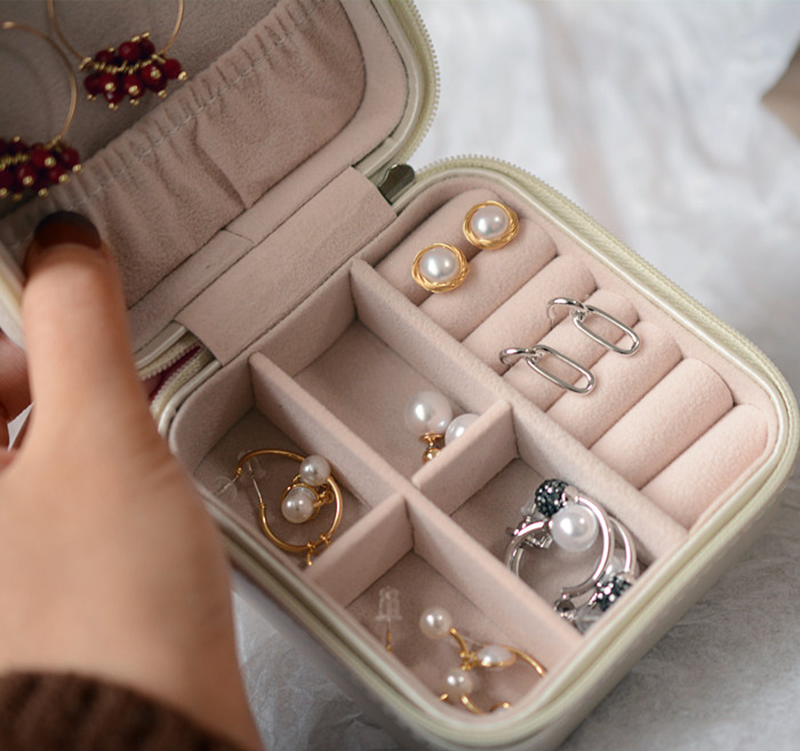 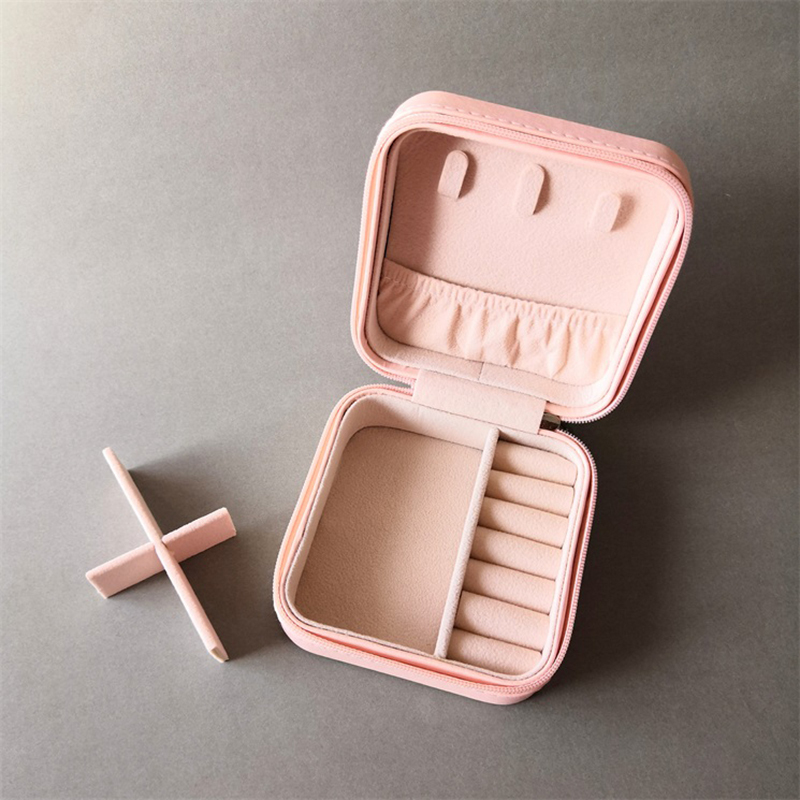 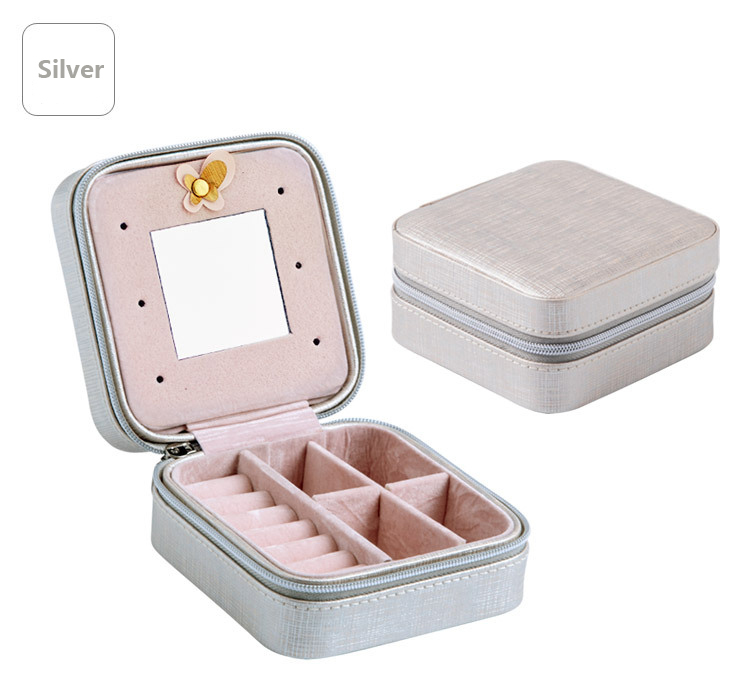 Whether you're looking for a foolproof way to pack for travel or simply need to organize the jewelry on your vanity, this small jewelry box makes accessorizing effortless! 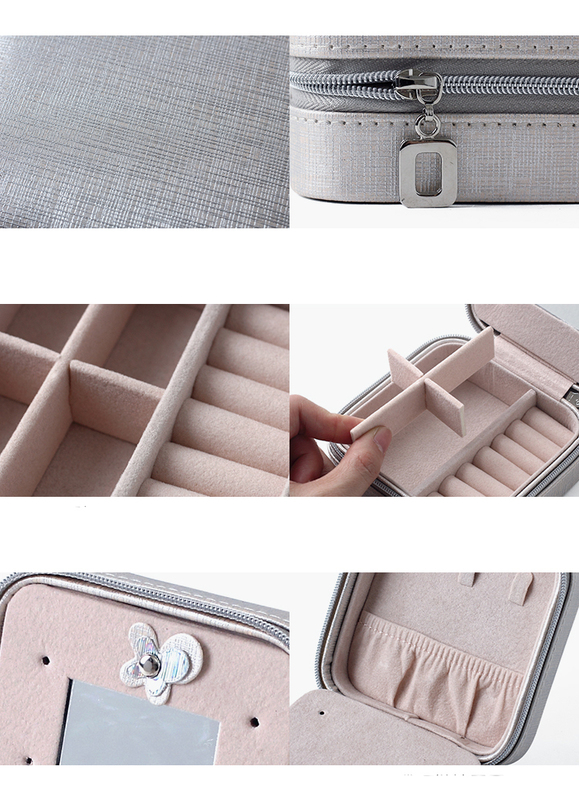 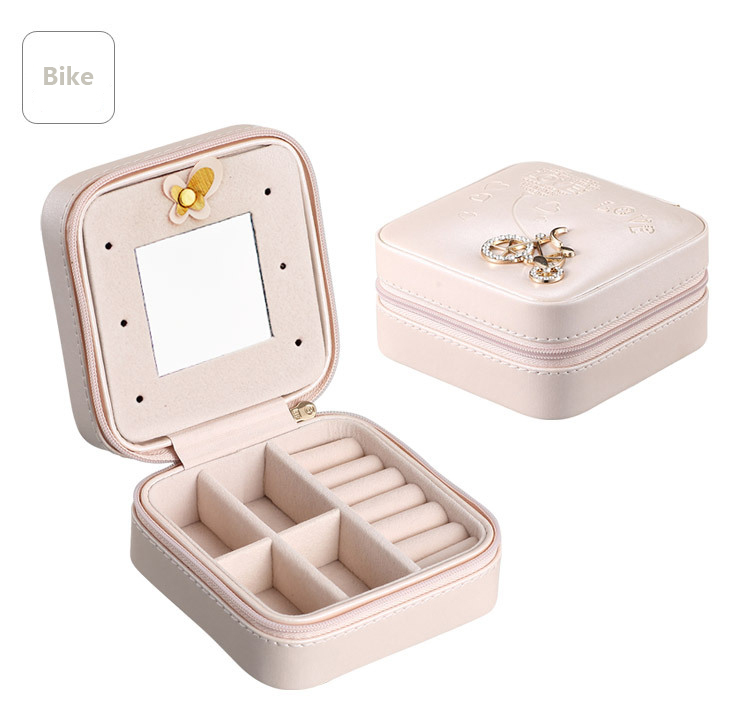 PU LEATHER: Jewelry case made of Tactile and tough premium PU leather stands wear and tear in daily use. 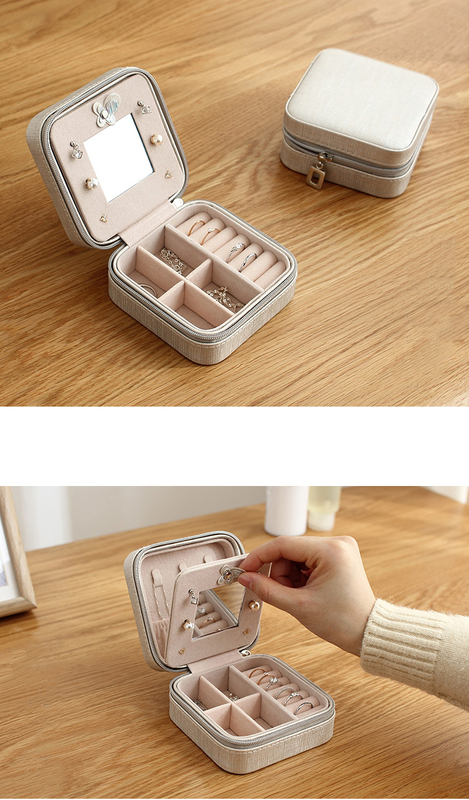 Durable zipper design to reduce the risk of jewelry loss. 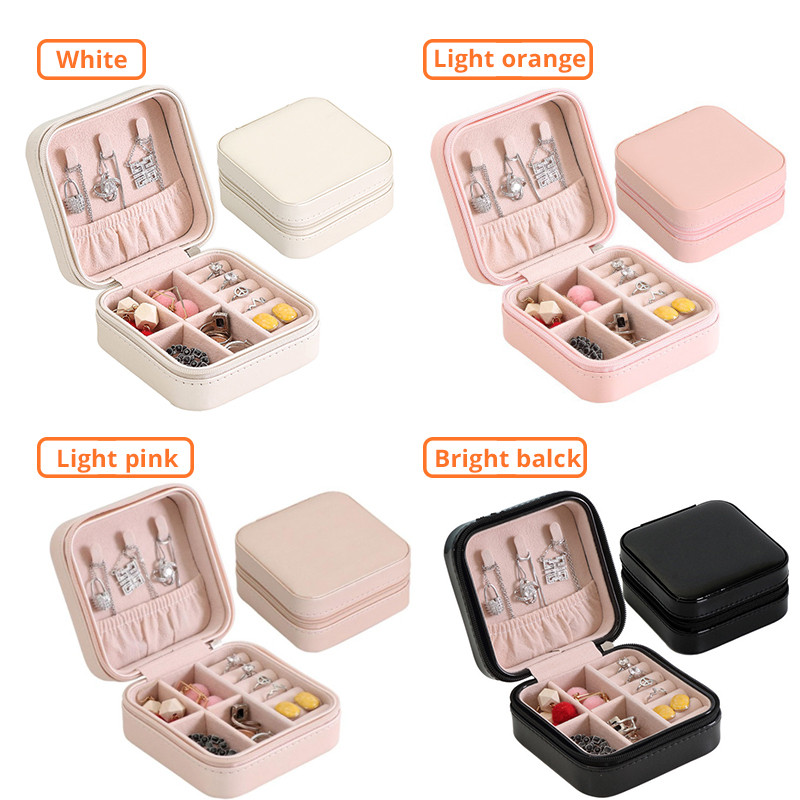 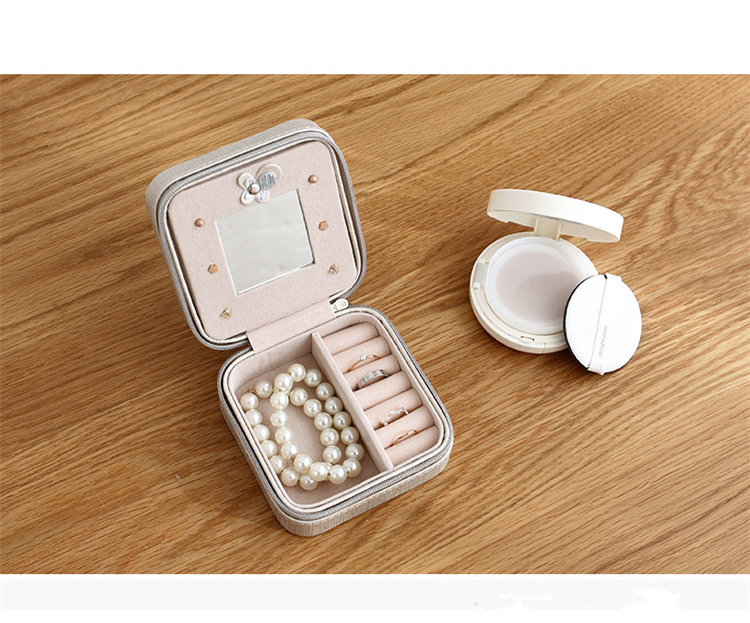 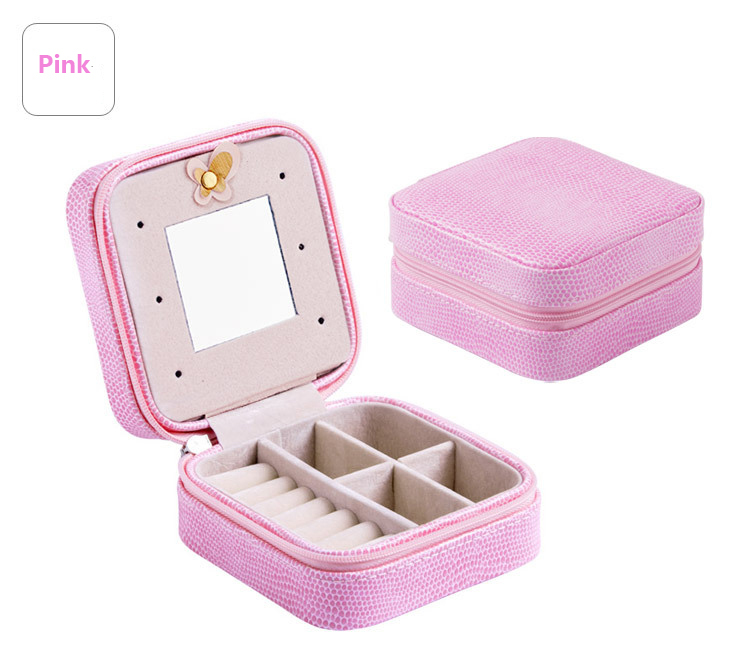 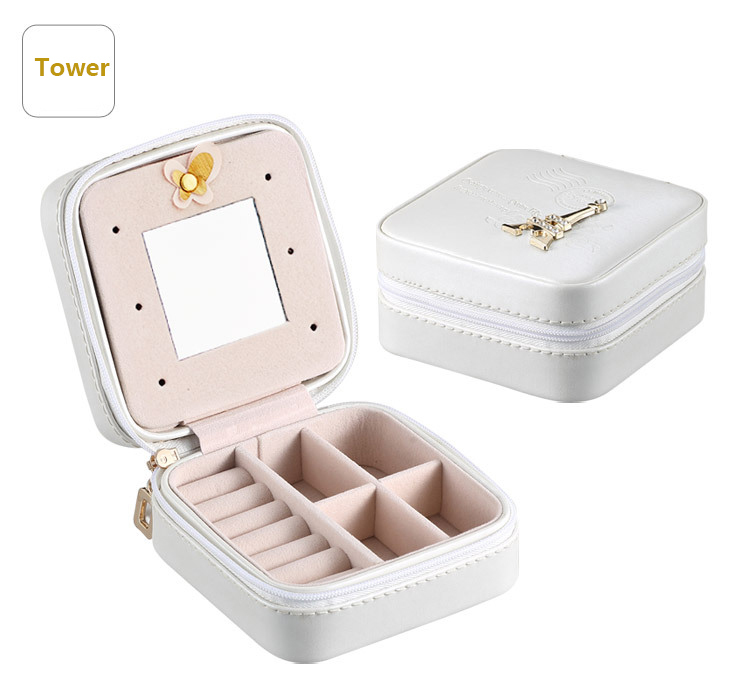 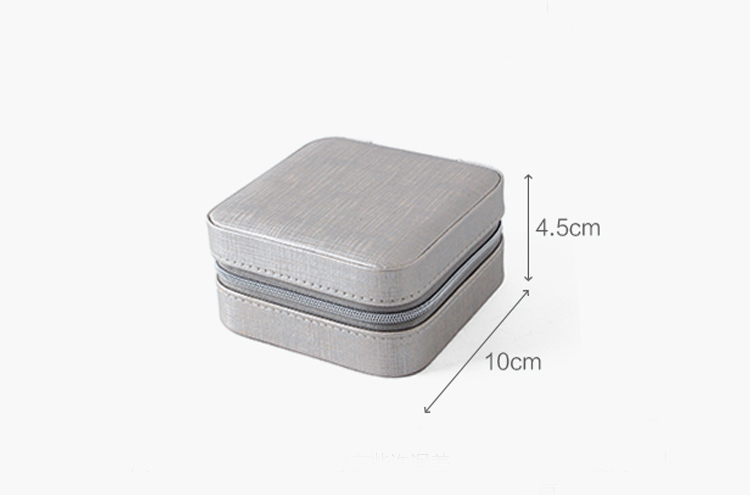 JEWELRY BOX SIZE: 10 x 10 x 5 cm/ 3.93 x 3.93 x 1.96". 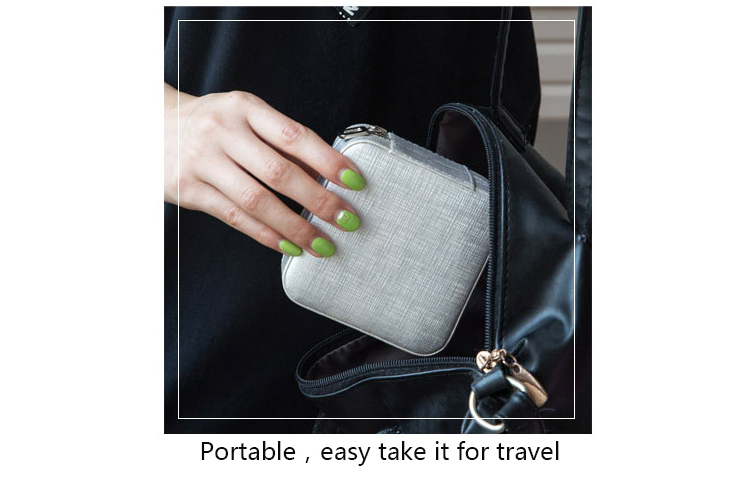 Especially designed for travel, easy to carry around in your bags.